It is recommended in the treatment of type IIa, type IIb, type III, type IV and type V hyperlipoproteinemia. 1.2 g daily in 2 divided doses may vary between 0.9-1.5 g daily or as directed by the physician. 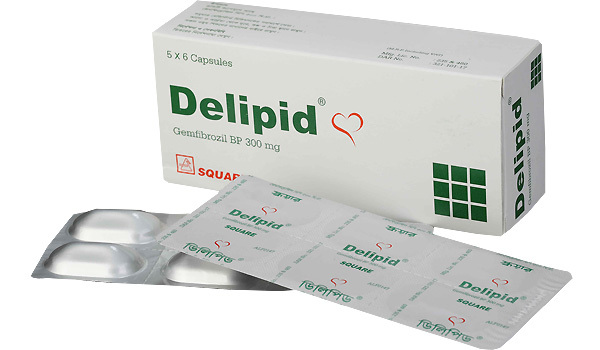 Delipid® capsule: Box containing 3 x 10 capsules in strip pack.